Learn to make pots on the potters wheel and Nurture your Creative self. 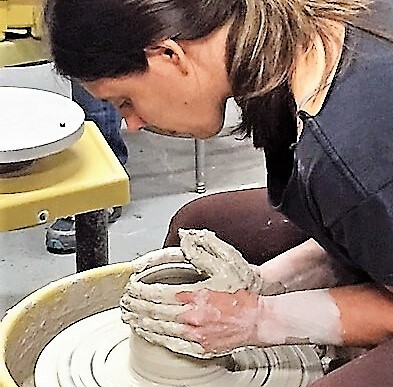 This six-week class is designed to develop basic throwing skills on the wheel. The class includes 25 lbs. of clay, your glazes, and firings. Also included is a total 12 hours of open studio on Fri, Sat and Sunday’s during the session. Enrolled students may also purchase additional open studio hours for $10/hour.